Teachers are the best people. But they are not perfect employees as many people always think them to be. At the end of the day, they, too, require an evaluation. The process is simple. And it usually takes less than half an hour per teacher. The first thing you do is to determine what form best suits your need. 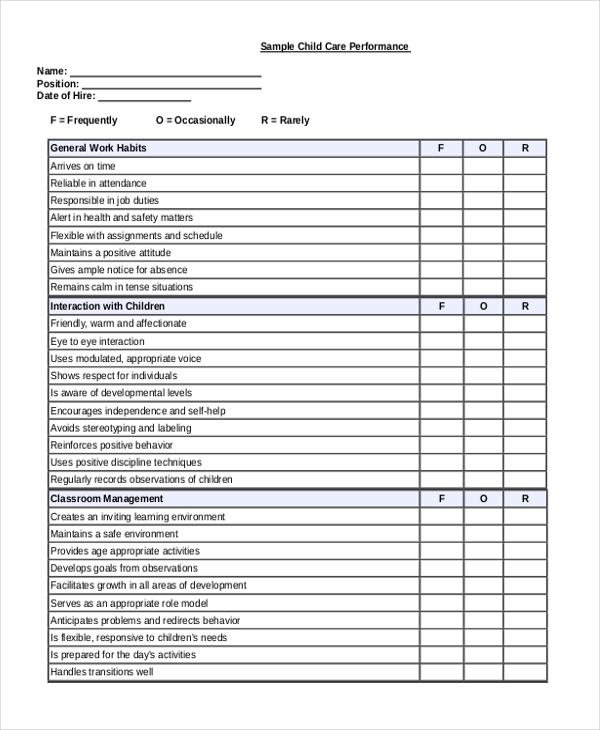 The Appraisal Forms is the document you will be using to conduct the evaluation. Once you get your tools ready, feel free to start evacuating the teachers. Here are the best forms to use. It is important to evaluate schoolteachers to determine whether they are providing quality tutoring to students. If you would like to do so in the shortest time possible, then here is a useful form to do that. Preschool is an important teaching center. So it must have the best teachers, to begin with. But how do you know you have the best? Well, conduct an appraisal. Here is the best sample file to use. You can also see Retail Appraisal Forms. One of the issues that you must deal with the head of a school in an evaluation. 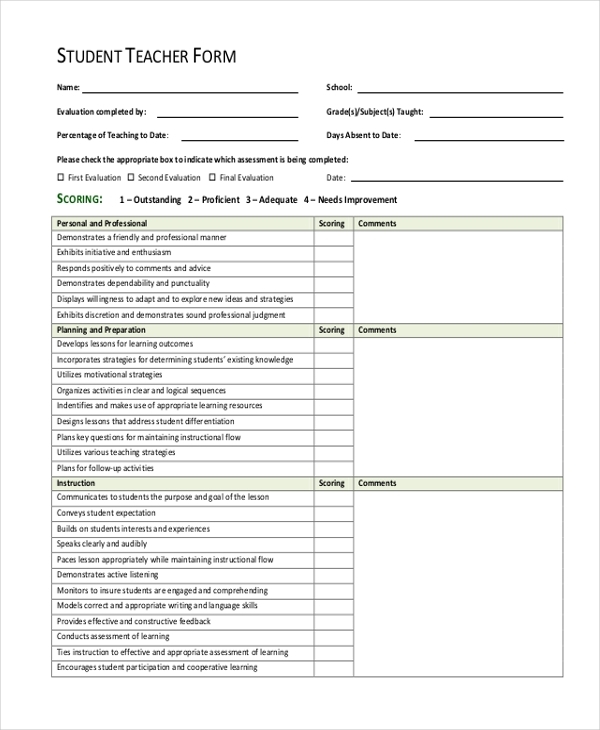 You can use the following sample form to conduct evaluation from time to time. The form is free to download. 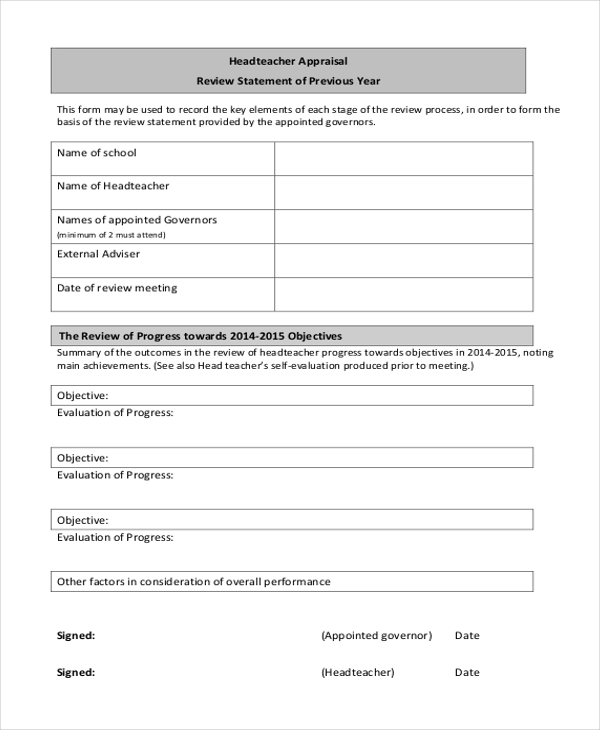 Do you know that you can download a free same evaluation template for teachers? All you have to do is click the link below and save the file to your computer. Then, print it for use. You can also see Land Appraisal Forms. Childcare institutions are the centers where parents take their kids every day. And they hope that the children will learn something new. 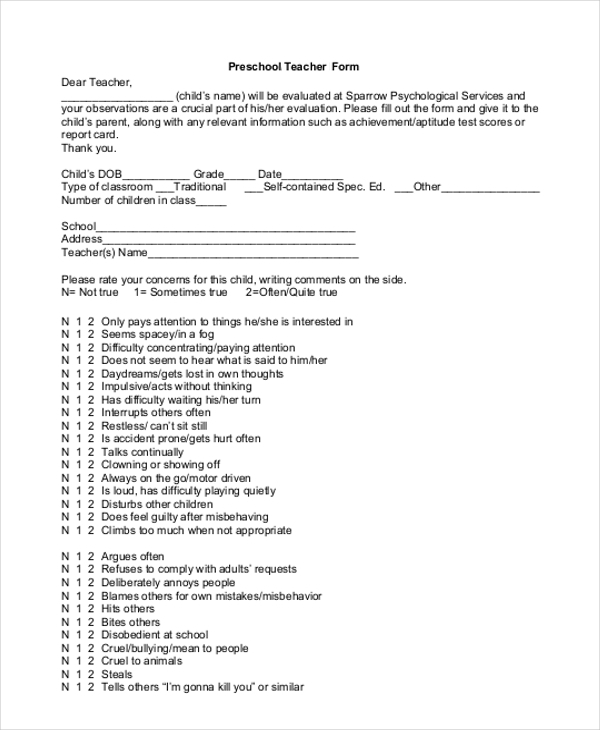 As such, you need to have good teachers and the only way to determine whether you have the best is to conduct an evaluation using this form. 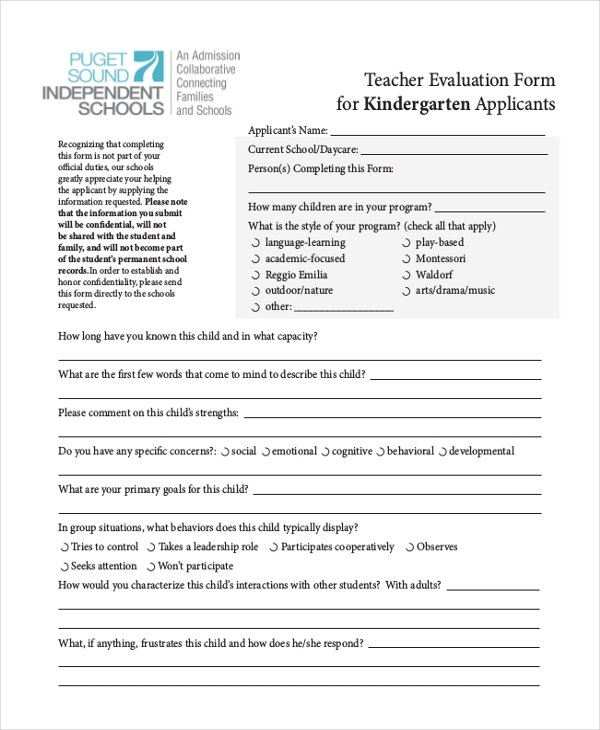 Getting students involved in the evaluation process can give you tremendous results. Of course, they will give an unbiased opinion on what they think about the teaching process of the staff. Use this form for the job. You may also see Sample Employee Appraisal Forms. How good is your teaching staff? Are they handling their responsibilities in a way that is required? The only best way to find out is to use the following sample form to gather data and compound results. Evaluating oneself gives you the chance to know more about your relationship with others as well as your career. 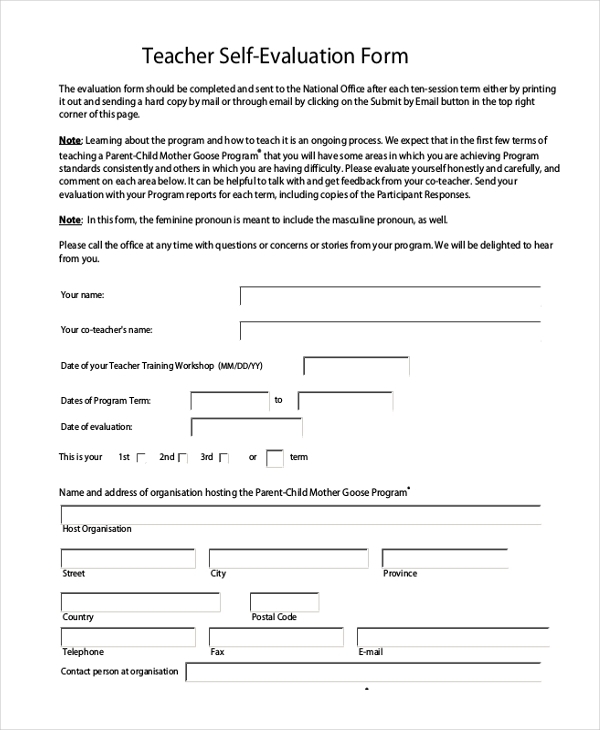 If you would like to do a self-evaluation, here is the form that you can use. You can also see Appraisal Order Forms. It helps to determine whether teachers are fit for the job post in question. You know for sure that it is impossible to judge the work of a teacher by face value. The only way to grade them according to their skills is to find out how they perform their duties by conducting an evaluation. 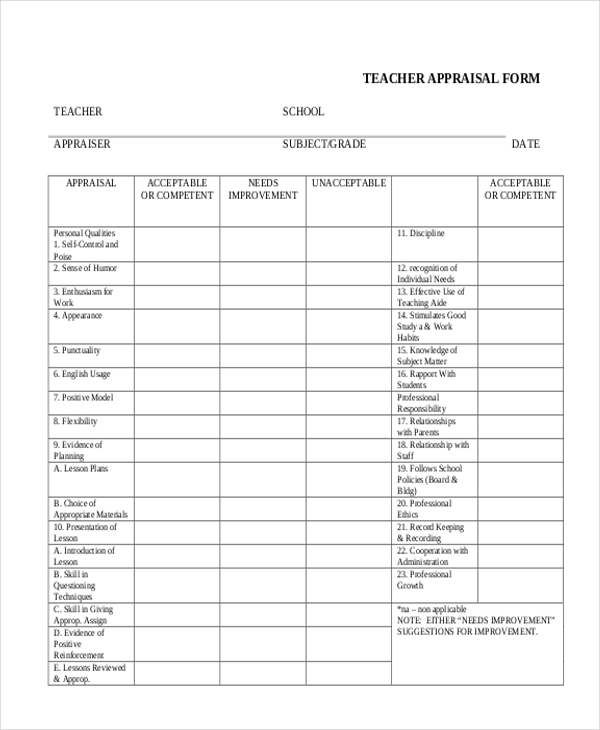 How to Make The Appraisal Process For Teachers Effectively? Get the students involved. If you need unbiased reviews based on the experience of students, get them involved in the review process. 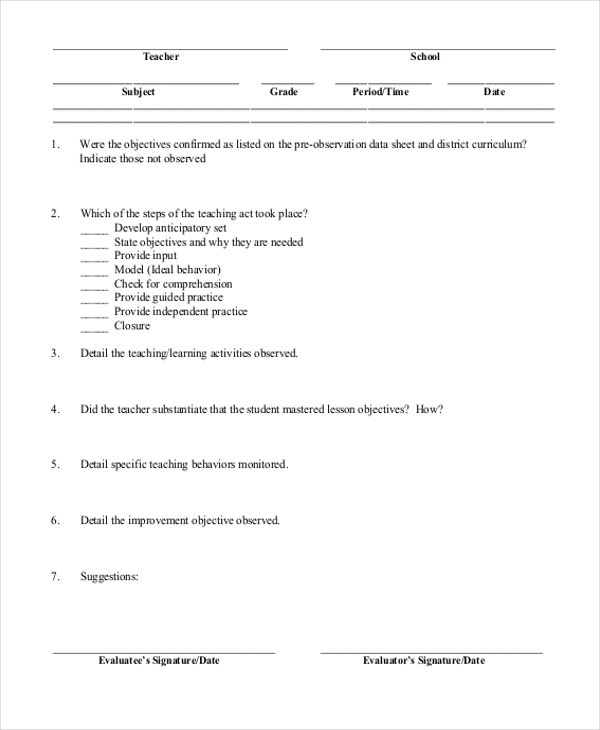 The best way to do that is to print as many sample forms as possible, give each student a copy, and then solicit their input. Make the survey closed. This is the only way to reduce biasedness in response. And, it is the best evaluation approach if you are looking for responses that are more specific. By the end of the assessment, you should determine the strong points of every teacher as well as their weakness. The data will help you make appropriate plans for training, promotions, and corrections. It is recommended that you conduct the evaluation at least every once a month, or every once a semester. You may also see Appraisal Review Forms.